Do you have any old Pictures as to what Oldham Towers looked like when it was first opened? I'm sorry - I don't have any pictures of Oldham Towers from the early 1970s. These might be available in some older Durham Housing Authority publications, but those aren't something that I've researched. can you do a Blod on Fayetteville St/Rd whatever it is called) please? I do plan to do old Hayti (Fayetteville and Pettigrew) fairly soon and some residential Fayetteville between there and NCCU. good, because there are some places where you need to do, maybe where the Durham Business School used to be, or something. My grandmother graduated from Durham Bussiness School in the late 1920's and I have a photo of her on the front step's of the school, (Which was aparently a large old house?) Do you know where the school was in the late 1920's. Is the house still there? Somewhere near or on Liberty St.? Another ridiculous loss, unfortunately one of so many. Even the older apartment building was a nice structure. This house seems to be similar in general plan and massing to the still-extant Heck-Andrews house in downtown Raleigh, with some detail differences (this house was slightly more ornamented on the roof dormers and has a protruding left bay, Heck-Andrews has doubled windows and its signature convex mansard tower). But there is a very strong similarity--I wonder if the designer could have been the same, or if this was simply a very common style for large Second Empire dwellings? On the northeast corner of Main and Dillard streets is the below imposing structure. Oldham Towers, built in the inimitable modernist public housing high-rise style, is what you have to look forward to if you are elderly and poor in Durham. As this community is less likely to have vehicular transportation, walkable access to proximate destinations is key. Unfortunately, the low-density surrounding land use after urban renewal limits walkability and destinations. Built sometime before 1891, the house was an elaborate Second Empire dwelling constructed for EJ Parrish, a prominent citizen of early Durham and tobacco auctioneer. His tobacco warehouse was located at the northeast corner of Mangum and Parrish Streets (thus the name) and was the largest warehouse in the state at the time of construction. 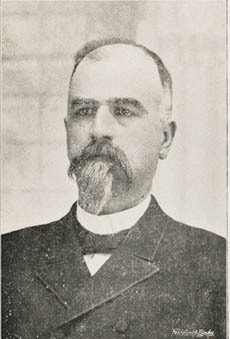 In 1898, Parrish went to Japan and sold his house to Richard H Wright, who helped design Durham's early street and transportation system, and built several of Durham's early buildings, including the 'Wright Corner' at the southwest corner of Corcoran St. and West Main St., as well as Lakewood Amusement Park at the southwest end of the streetcar line. 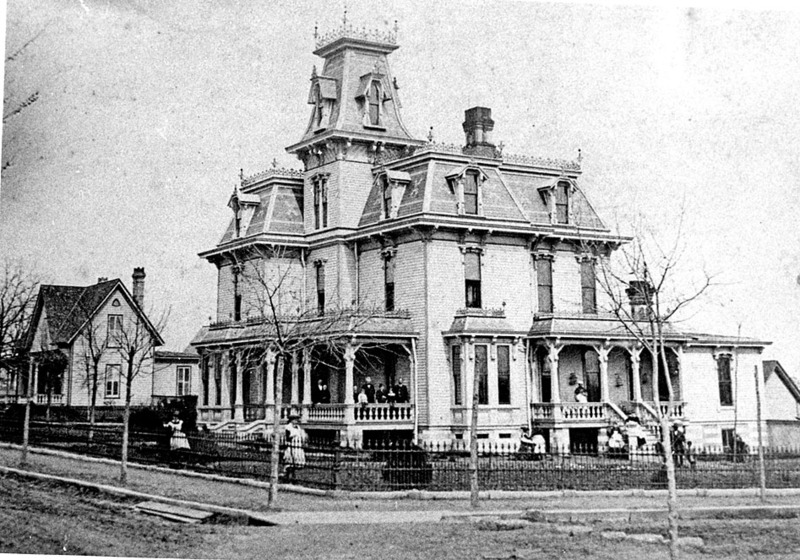 Along with Somerset Villa, the EJ Parrish house helped establish Dillard Street as "Mansion Row" During the 1890s, most of the more modest housing along Dillard was replaced with large Queen Anne/Victorian dwellings. In the 1910s, the bifurcation of East Main Street west of Dillard was eliminated by closing the northern lane, and there was new open land between the Parrish house and the corner. 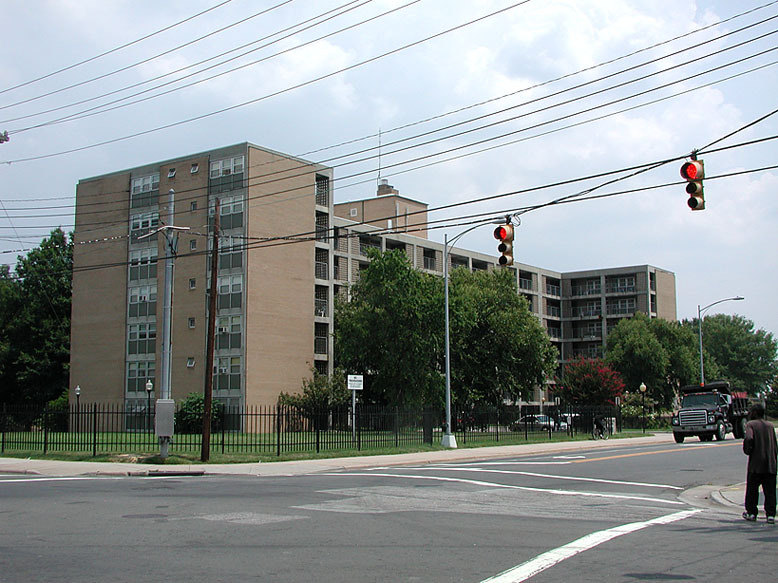 On this land, the Franklin Court Apartments were constructed. Wright constructed a country manse on the Roxboro Road, much like his predecessor EJ Parrish, and moved to the 9000 sf house, named "Bonnie Brae" in 1917. The apartment building, first called the "Wright Apartments No. 1" were built immediately thereafter on this 'reclaimed' land..
By 1923, the apartments were called the "Franklin Court Apartments" - I do not know why. Gradually, commercial uses began to supplant residential in this neighborhood - first with Somerset Villa and the JR Day house (and others in the first block east of Roxobro) in the 1920s, then the Sears building and the bus station in the 1940s. Remaining large houses generally were abandoned by the the next generation of wealth, which moved out to Hope Valley, Duke Park, and Forest HIlls. Most of the houses that were not torn down were converted to rooming houses, including 108 North Dillard St.
By 1957, someone had made the ridiculous decision to tear this beautiful structure down. Part-way through demolition (windows and doors removed,) 1957. What replaced this sumptuous structure? What noble use was it cleared for? Ah, delicious. A Hertz rent-a-car box. The Franklin Court apartments persevered through the latter 1950s and early 1960s. Western portion of the apartments, taken from the south side of East Main St., looking northwest, 1965. Eastern portion of the apartments, taken from the south side of East Main St., looking northeast, 1965. However, all of the structures in this block (as well as most of the structures within a 0.25 mile radius) were demolished by the city using Federal Urban Renewal funds. Looking northwest at the east side of the apartment building from East Main, 12.13.67 - it appears that the house next door is being demolished as well. Halfway through the teardown, 1967. Oldham Towers was built soon after the demolition. Looking west, June 10, 1968. The bus station and houses on N. Dillard St. are visible in the background. Notice the scale and orientation of the Franklin Court apartment building; there was no setback from Main Street, and the height of the building was similar to surrounding structures (3 stories). There are clear pedestrian entrances, and exterior details gave some relief to the surface, softening the facade. Compare with Oldham Tenem...er...Towers.